Recovery doesn’t just “happen” to us; we have to want it, and work for it. Many of us come into recovery with a “wave a magic wand” attitude about it. We expect that some magical person or some miraculous event will change us, make us willing, and keep us committed. But it doesn’t work that way; indeed, it can’t. And it shouldn’t. 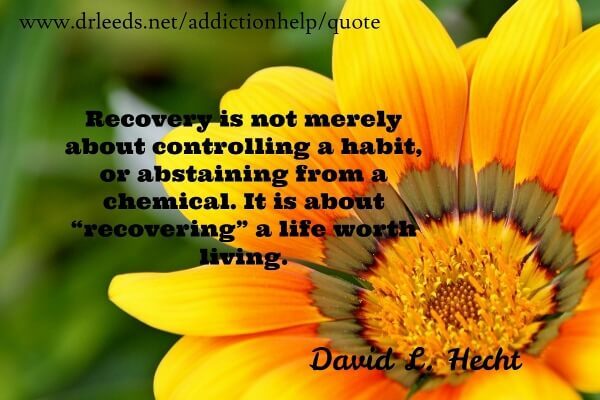 Recovery is not merely about controlling a habit, or abstaining from a chemical. It is about “recovering” a life worth living. It is the restoration to sanity, combined with becoming more self-aware, combined with an awakening of the higher or “spiritual” nature, combined with developing a new, happy, able and successful way of life! By changing who we are and how we think of life and ourselves, we drastically reduce the influence of addiction on our lives. That is an ongoing process, not a mere event – and it could not merely “happen” automatically or accidentally. We can’t “catch” recovery, any more than we could “catch” addiction! It is not a contagion, it’s a process, and a decision. Typically, we addicts tend to run away from responsibility, resist change, and resent others’ reminders of the failure and desperation our addiction had driven us to. We had gone from self-medicating for pain or psychological problems, to the ever-losing battle to try to medicate the pain of everyday life. Addiction is a downward spiral, and at our bottoms, it can be hard to even imagine a better life, free from that enslavement. Something big has to happen for us to overcome our resistance, and our downward momentum. But in meetings, we hear other people who seem to tell our story – even if it is in bits and pieces. This isn’t someone lecturing us on what we “should” do; instead, it’s people like us, sharing their own experience, honestly and compellingly. 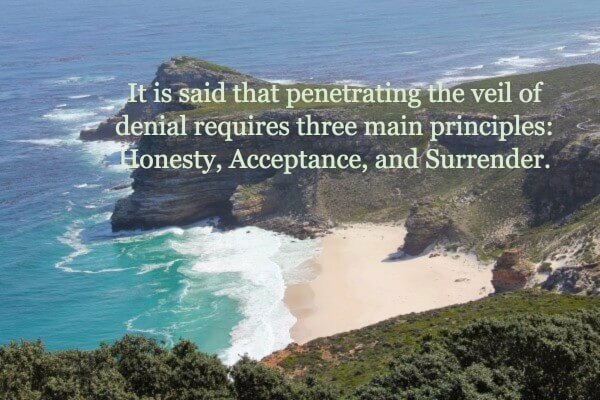 We gradually come to trust the message of recovery, accept that it could happen to us too, and make a decision to work to overturn the hold addiction has had on us. That requires a degree of “honesty, open-mindedness and willingness” that we had not had before – and more “stick-to-it-iveness” than we had thought ourselves capable of. Another addict said, “If you put a tenth of the effort into staying clean as you did into getting high, you’ll probably stay clean. But if you put a half of the effort into staying clean as you did into getting high – you’ll have a fantastic life, and other addicts will hold you up as a great example of recovery!” Okay, perhaps the math wasn’t exact! 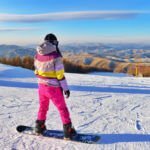 But the principle is sound: recovery takes desire and effort; and as it turns out, recovery is a lot easier to endure than active addiction is. When I was new, I wasn’t really sure that I wanted to stay clean. I just wanted the world to get off my back for a while. So I went along, and did what was suggested; I was tired, and in no mood to put up a full-tantrum resistance. I took suggestions, kept coming back, and made an effort. To my surprise, I discovered – that I liked being clean! I was enjoying myself, more often than not; I especially found myself laughing more than I had in years, and that alone was a relief – because there had been very little that was funny about my bottom on drugs. While getting high, I would “pass out and come to”; now I would actually “fall asleep and wake up!” Instead of mere “using buddies,” I began to have friends. And instead of dreading the next day, I was surprised to discover that I had begun looking forward to it. To my further surprise, I found that I was not so “terminally unique”; other members were remarkably similar to me. They’d been bright people with lots of potential – but addiction had poisoned every aspect of their lives. It turned out that “detox” wasn’t just drying out, nor even a four- or six-week process of going through treatment for chemical dependency. Rather, it was a gradual, long-term process of cleansing themselves of a bad attitude and a toxic state of mind. 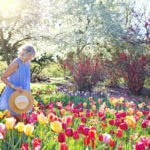 As they regained a sense of purpose and meaning in their lives, they became happier, more at ease, hopeful for the first time in a long time – and willing to work to keep what they were experiencing, rather than let it all fritter away. But what we also had in common was this dreadful “Disease of Addiction.” That disease is a destructive force in the lives of addicts; and usually, it’s mainly a self-destructive force. It talks to us, it uses our own voice against us, and it always lies. It tries to hurt us, to defeat us, and to make us want to give up. It tries to “blame” everyone else for our problems – as though blame were in any way useful! It tries to convince us that we don’t need anyone else to recover – as though we were capable of teaching ourselves a subject or a way of life that we ourselves did not know! It tries to convince us that meetings and recovery are “boring” – as though we had been having so much “fun” in active addiction! It tries to convince us that our only problem was “drugs” – as though it wasn’t our sick thinking, bad attitudes, social alienation, escapist habits and reckless actions that had driven us to get high in the first place. The disease acts like an alien intelligence that tries to dominate our minds and wills. It wants us dead. But it’ll settle for miserable. That’s its self-destructive power. But, we discover: while the disease is powerful, recovery is even more powerful. If it weren’t, none of us would be acquiring long years of clean time. And yet, we do recover! Of course, it takes effort, but it’s worth it. That’s why we say that we “work” the Steps; we don’t play them! And that’s why we call them the “Steps,” and not the “Escalator!” We come to value and treasure what we have worked so hard for; and we begin to see recovery as a privilege, not a punishment. We stop waiting for someone or something to come along and “fix” us, and instead we commit ourselves to the daily maintenance it takes to keep from getting broken. For the first time, either in years or in our whole lives, we begin to feel proud of ourselves, to feel a sense of accomplishment, for working for something worthwhile, and following through on our commitment. A new way of life opens up to us, and we stop whining and start actually enjoying life. But it can’t just “happen.” If it did, we would not believe it or appreciate it, nor continue to make the effort to preserve it. A whole lot of recovery is simply “growing up,” and not asking life to baby us. We need to develop the maturity to stay put, stick out even the difficult times, and say, “Don’t give up before the miracle happens!” We need to keep coming back, and not picking up – no matter what. We need to become better students – of recovery, of life, and of ourselves – so that we can learn to recognize our self-defeating and self-destructive habits and patterns of thought before they can take root yet again and conspire to ruin everything we’ve worked for. And we need to learn the recovering techniques, habits and attitudes that it takes to defeat the disease of addiction, whenever it rears its head and tries to drag us back down. If staying clean were so easy, we would have done it ourselves, long ago. It is one thing to merely stop; but it takes working a program to stay stopped. It’s really important not to minimize the tenacity and treachery of the disease of addiction. But it’s just as important not to minimize the power of recovery. By learning all the ways my disease can work, I’ve also learned all the ways to check it, and keep it from dominating my life again. That’s how I have 31 years of continual clean time; and how friends of mine have many more. More important than long clean time, we have a life beyond our wildest dreams. And it all started with the willingness to try.